iPhone 6 UK price and release date: Where can you buy the new iPhone? Apple's just announced two brand new flagship smartphones, both sporting the iPhone 6 moniker. The spiffing new cellular, revealed at a recent Apple launch event, is set to ship in two sizeable variants, the 4.7-in iPhone 6, and the 5.5-in iPhone 6 Plus. 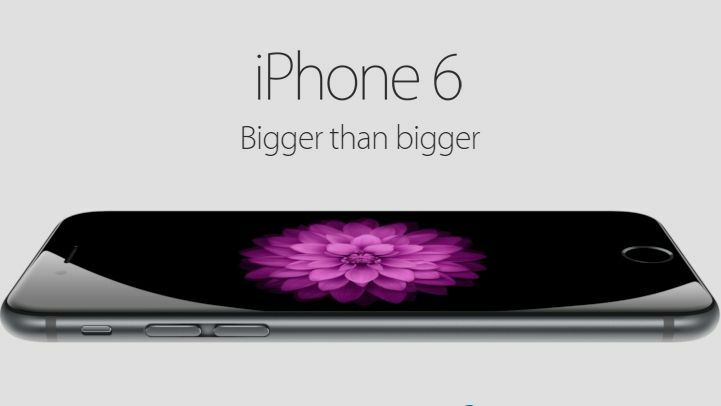 "EE today announced it will offer iPhone 6 and iPhone 6 Plus, the biggest advancements in iPhone history," says the firm. "Pre-order will commence at 08:01am on 12th September ahead of launch at 08:00am on the 19th September. Customers may pre-register interest today at EE." They're also the only carrier currently offering Apple's Wi-Fi calling in the UK. The service allows customers who aren't receiving coverage to make standard phone calls over a Wi-Fi network. Phones 4u now has the iPhone 6 and iPhone 6 Plus available for pre-order on its website. "Excitement for Apple's latest smartphones is in full throttle - the number of people who have registered for more information about the new iphones has more than doubled since 2013 and as a result, we're prepared to meet demand with better stock than ever before," says Scott Hooton, Phones 4u's CMO. The company says customers can pre-order the new smartphones for home delivery or store collection, depending on preference. Vodafone says if you snap up an iPhone 6 or iPhone 6 Plus on its Red XL or XXL 4G contracts, you'll be gifted Netflix, Spotify, and Sky Sports Mobile - all on the house! The carrier is flogging the new smartphone duo on the following tariffs. Note that the upfront handset prices vary with Vodafone. "O2 today announced it will offer iPhone 6 and iPhone 6 Plus, the biggest advancements in iPhone history, beginning 19 September. Customers may pre-register interest today." O2 customers will also be able to earn up to £280 via a handset trade-in through O2's Refresh scheme. "Three UK is delighted to announce it will offer iPhone 6 and iPhone 6 Plus, the biggest advancements in iPhone history, beginning 12th September 2014," says the network. Three says its customers will benefit from 'Feel at Home' charge-free abroad data roaming (16 destinations only), 4G at no extra cost, free calls to 0800 numbers, and all-you-can-eat data. Virgin says its broadband customers that buy the iPhone 6 or iPhone 6 plus will snag a £10 saving every month on their phone contracts. They're also throwing in unlimited calls and texts to other Virgin mobiles too. Cheers, Branson. The network provider has also dedicated a page to the new iPhone models, although it's effectively just content pulled from Apple's own website, and has yet to offer details on Virgin Media tarriffs. GiffGaff will 'be selling the iPhone 6 handset unlocked and at a very competitive price." You can register your interest in the two new handsets over at GiffGaff's website.